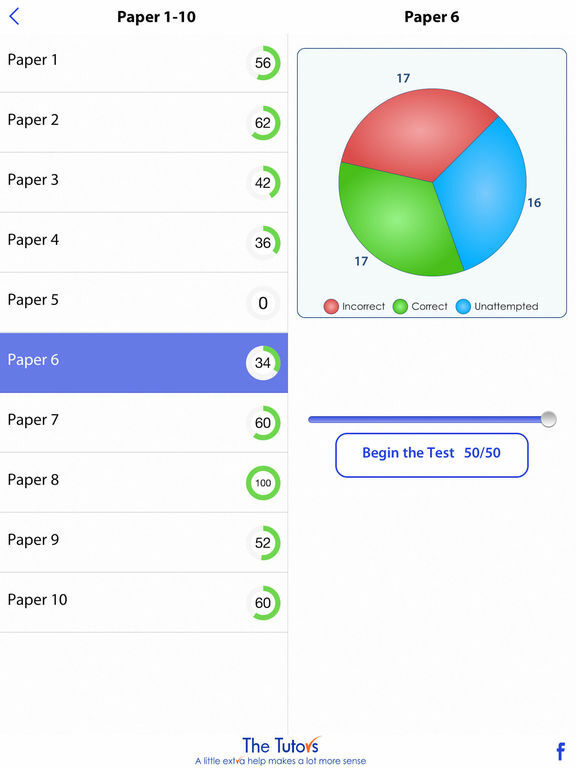 This app is a set of 20 question papers, each paper consists of 50 questions in multiple-choice format; the questions cover all of the question types contained in the actual 11+ and independent school common entrance examinations and are in the format of the tests that the children will take. 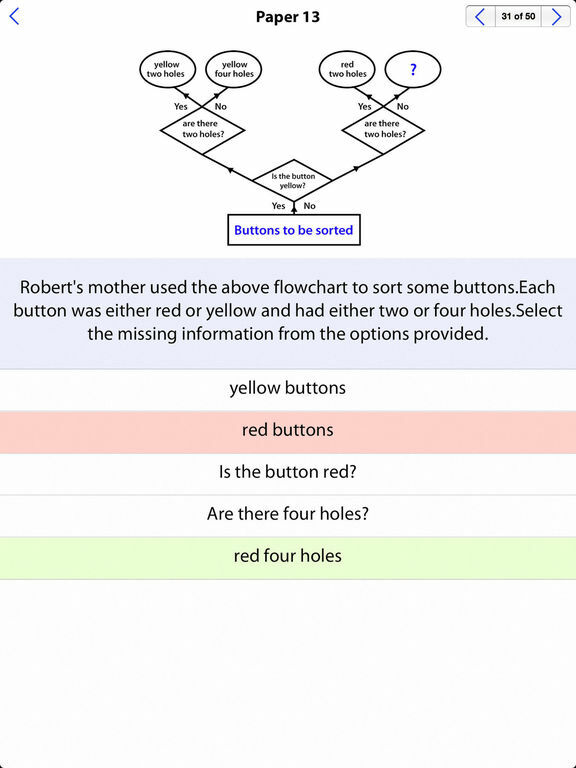 With 1000 individual questions, this is the most comprehensive 11+ Mathematics App available for 11+ Grammar School selection tests and Independent school common entrance examinations. 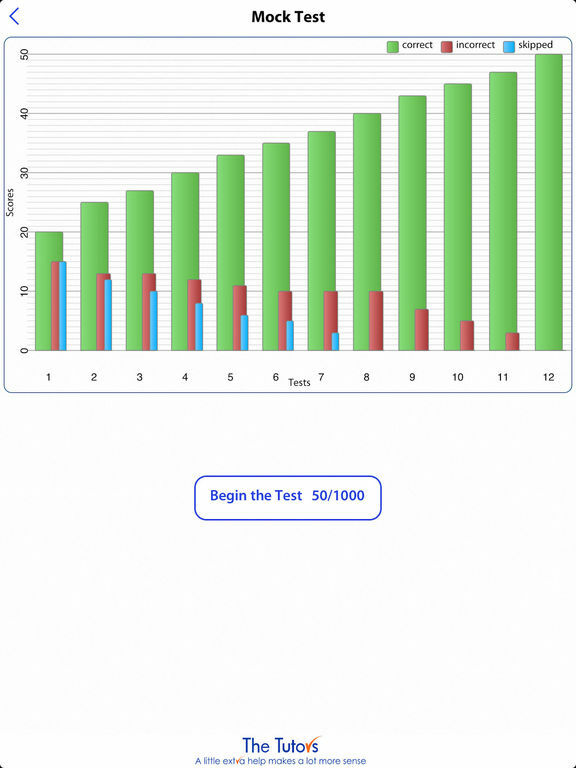 The app also contains 480 bonus question to help practice times tables instant recall. 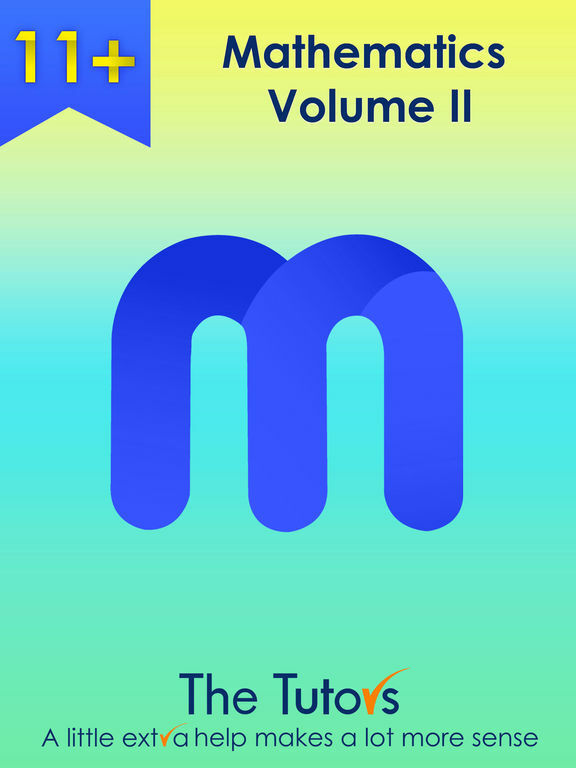 The Tutors 11+ Mathematics Apps Volumes 1 & 2 contain different questions, if you purchase both apps you will have 1900 test questions and 980 bonus questions. Preparation for KS2, KS3 and GCSE statutory assessment tests and exams. The equivalent tests in countries that follow UK selection procedures. And anyone who wishes to improve their mathematics skills. 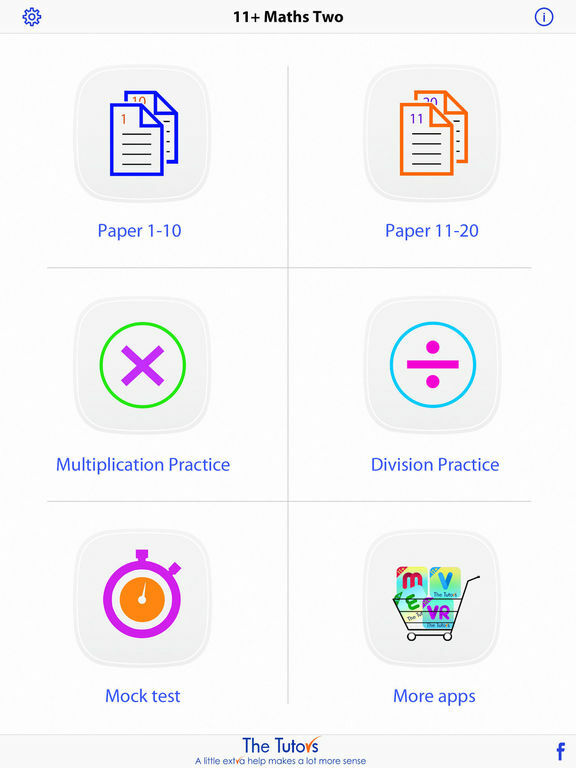 What do you need from an 11+ Mathematics App? 1. All 11+ Mathematics type questions must be included. 5. The App must contain enough questions for it to be used over and over again. On the completion of each test the user is given a summary of questions answered correctly, incorrectly and skipped along with the time taken on each question. The Tutors 11+ Mathematics Volume 2 App gives you all of the above. We believe that you should get what you need, so we provide you with 1000 unique questions in 20 test papers that mirror the real tests in a single App, plus a bonus section with 480 times tables recall questions.. The Tutors have over 15 years experience preparing children for 11+ tests and have created one of the most comprehensive ranges of resources for 11+ Mathematics. We also publish 11+ verbal reasoning, English and vocabulary building resources; over 8 million questions have been purchased by schools, tuition centers and parents. The Tutors resources are recognized as being of the highest quality; when you use The Tutors resources you have the peace of mind that you are working with the best material available from a single author.